Our distribution is wide and large, and the Acid Archives 2nd Edition book should be available with any specialist dealer. For wholesale inquiries, contact Subliminal Sounds (worldwide) or Forced Exposure (USA). 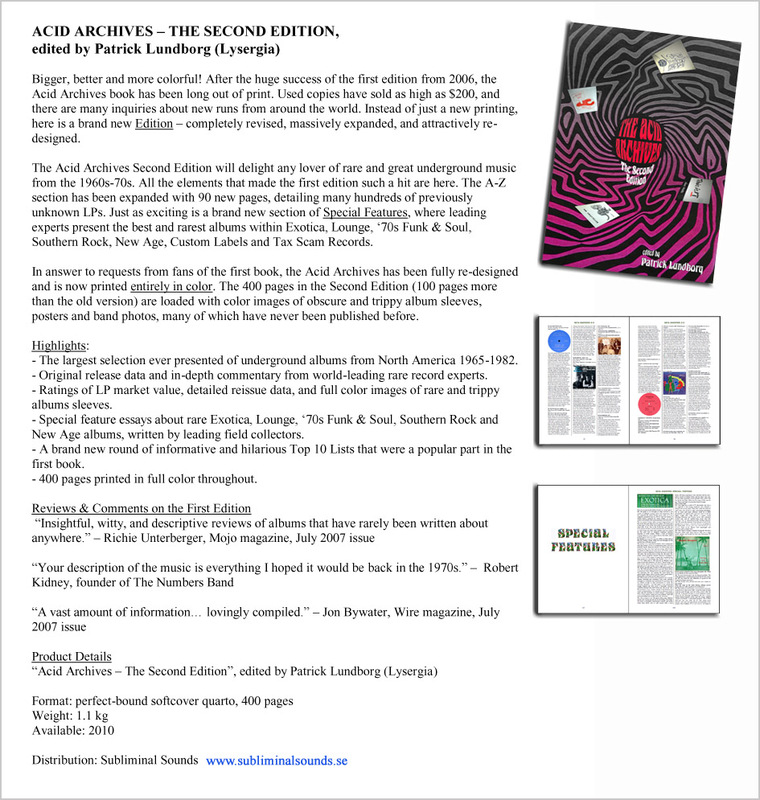 If you already have your second edition copy and want to know where to go next, the answer lies in the Acid Archives Update Blog. 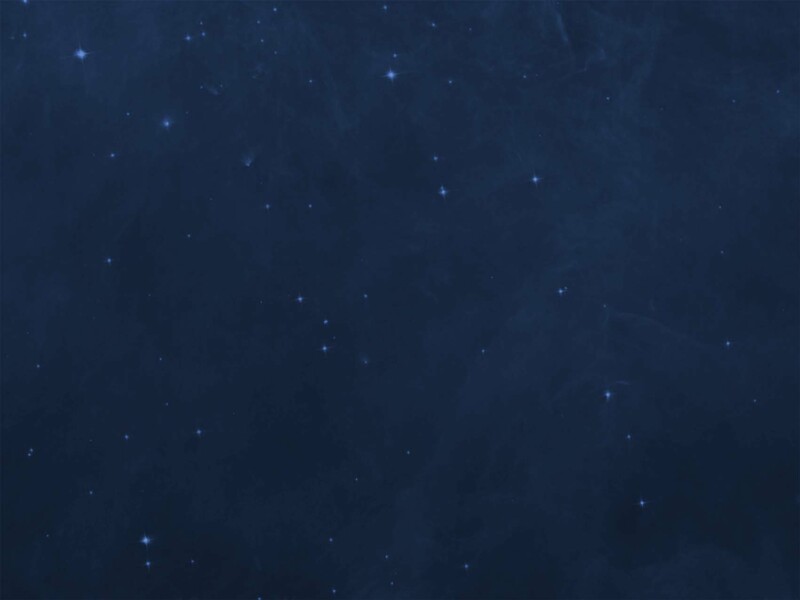 This is where all our new research and discoveries can be found ! As you may have heard, a highly limited run (100 copies) of the Acid Archives Second Edition was printed as a hardcover version. The first 25 copies were lettered 'A'-'Z' and were intended for contributors and major supporters. The remaining 75 copies are numbered 26-100 and have been sold via private retail only. Most of these are gone, but we still have a box of hardcovers left. Each copy is numbered by hand and signed by the editor, and comes with a bonus disc of mystery music. A personal dedication can be added on request. Please note that the shipping cost will be substantial, due to the weight -- about $30. Once these 100 copies are gone there will never be any reprints of the hardcover Acid Archives. ACID ARCHIVES: The Second Edition (Lysergia, 2010) limited edition hardbound copy, signed & numbered (1 of 75). Please send an e-mail to our Renaissance Fair webstore for current price and further details. Many of our retailers accept credit cards and/or have online credit card processing available. If you are interested in purchasing our book online, please make sure that you know your billing address for the credit card prior to making your order; this will ensure that you receive our book in a timely manner, and are able to enjoy it as soon as possible. A large number of people have e-mailed me in recent weeks wondering where the AAoUS went. Here's why, once and for all: the website hadn't been updated in 3.5 years and the data in it was getting old. No one has time to maintain it, and the dated info was becoming an embarrassment. Secondly, we got tired of seeing our reviews and research copied by bloggers and eBay sellers without any credit. The ACID ARCHIVES BOOK VERSION is much more complete and accurate -- that's where all the updates went. Thanks for the interest -- Nothing lasts! ...but Nothing Is Lost! To stay with the beat as our Acid Archives research continues into new, uncharted spaces, check out the Acid Archives Update Blog. This is where all the action is nowadays (2012) and for the foreseeable future.